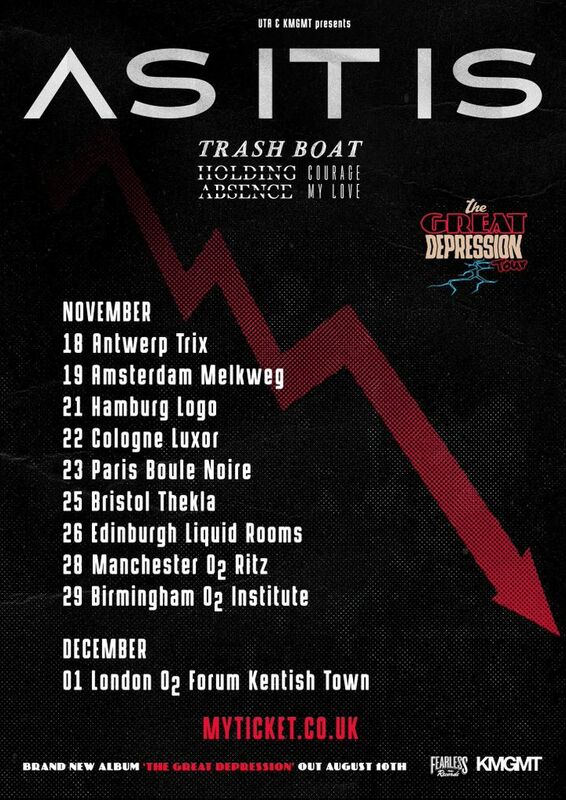 We will be embarking on Act I of The Great Depression Tour in November & December across the UK & Europe. Tickets are on sale now! We hope to see you there! The As It Is concert was perfect and how they cheer the people was fantastic. After that the Enter Shikari band has an awful sounding you don't even heard their voice,just their guitar and their drum but that's not their fault fully i think. Amazing show. Point North and Hold Close were fabulous. Not a fan of Sharp Tooth. As It Is should have such a larger following. They were absolutely amazing! High energy. Great sound. Fabulous messages in their music. Just loved it.